Home › app cash › apps that › Cash For Apps IOS › earn money from app › earn online › featured › Slidejoy app › SlideJoy App - Earn Money From App Unlocking Screen - Slide joy glitch? 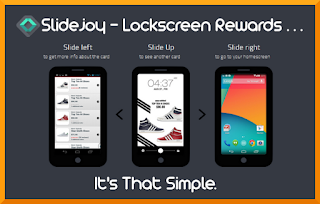 SlideJoy App - Earn Money From App Unlocking Screen - Slide joy glitch? Why You Get Paid To Unlock Your Screen. SlideJoy is a free lock screen app currently only for the android marketplace. SlideJoy is one of the apps that work with ad companies to serve ads up on your phone's lock screen. 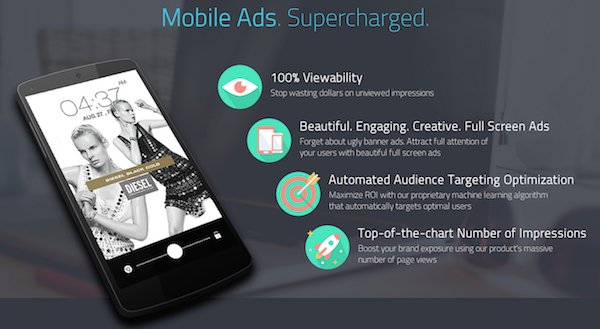 You are paid to view those ads each time you unlock your screen. Slidejoy as also added offer walls that pay you to take surveys increasing your possible earnings. SlideJoy promises to release an Apple iOS version soon. However, this promises has been out for a while and nothing as of let. Download and Install the application from the Google Play Store. After installation ads will appear on your lock screen. You will swipe your lock screen in order to get back your home screen. Sliding to the right dismisses the ad immediately. However, if you Slide to the left you will be taking to the advertiser's content page for more information. Either way, the pay is the same. SlideJoy uses a points system called carats that can be used to redeem rewards such as Amazon Gift Cards, PayPal, Starbucks, Playstation, Xbox, Nintendo, Walmart, Ebay, Target, Gamestop and so on. 1000 Carats are roughly equal to 1 dollar depending on which reward your requesting. On average you can expect to earn anywhere around 100-130 carats per day. Or around $0.10 to $0.13 cents if you convert that to money. The more you are active on your phone the more you will make. However you can't just spam unlock your phone to get more carats, it won't work. They have an algorithm that is able to detect unnatural behavior and you will receive no credit. So if you unlock it more throughout the day, you'll earn more. Users of the app have noticed that when your check slide joy when they have just updated your balance (at 1.pm), it rewards like 5 or 6 carrots. If you check a few hours later instead, they reward around 12 carrots? Is this a glitch? This is probably just a delay in earnings showing up. SlideJoy has a negligible impact on battery life. Most users of the app report not seeing any impact on their battery usage. You are expected to use your phone normally, so the income it generates a passive. It doubles as really good News app. Nice selection of payment options including Paypal and Amazon among a Dozen or so others and rising. If you are a very active phone not expect to make much. You only get paid when you unlock your phone in normal use. You may find having an extra step added to opening your phone to be a huge annoyance. Especially if you have a job or in a situation that requires quick access to your device. 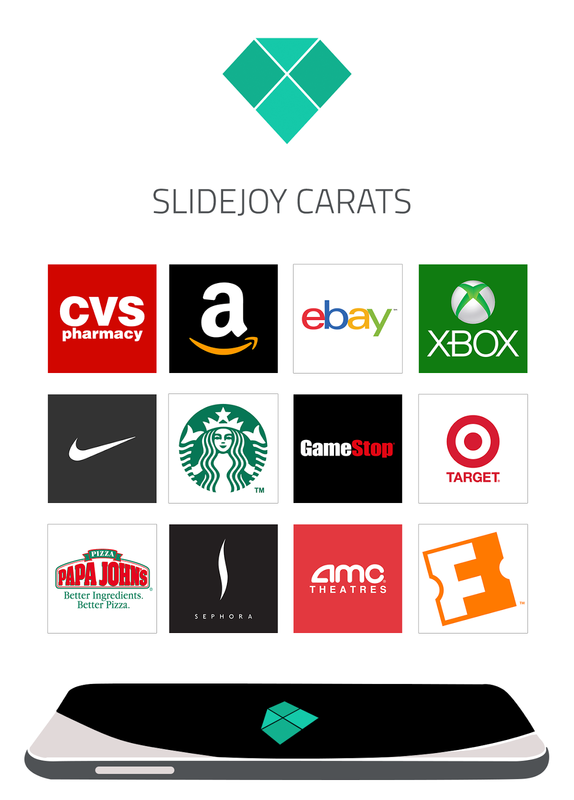 For a time Slidejoy offered a referral bonus of 20% of your referrals earnings for the first month. As of now, it appears that offer has been removed. 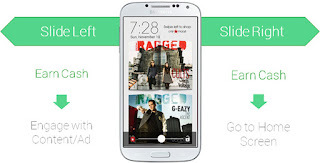 SlideJoy is a nice addition to anyone's extra income pile. However, don't expect to make a significant dent in the pile with this app. The app is completely passive other then the extra step of swiping your screen to open it if you don't already do that. With that said if, for some reason that is an issue, you're not going to really be missing a ton of cash. For the rest of us, the passiveness of SlideJoy makes it worth wild. 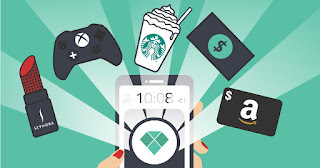 Is it not amazing to earn money from apps guys!